Everyone loves to decorate a bedroom. Though, there are so many different options to look at when it comes to decorating a room. For most, they will end up going for wall paper or paint that is just one colour and plain. Of course, painting a room one colour can look nice but children don’t always want to see plain walls. For most children that are quite young, they want to draw and unfortunately that can also mean the walls. Now a lot of parents might not mind but to be honest, it isn’t the look you want for your child’s bedroom. You want their bedroom to look smart and fun but that is why you could look to decorate your child’s bedroom with a special theme. Everyone loves to make their child’s room very special! Of course, a special theme for the bedroom or the play room will really help to draw in the child so that they enjoy playing there! Though, there are quite a lot of different themes to choose from and for most children, they love one character one week and then the next, they love another character. 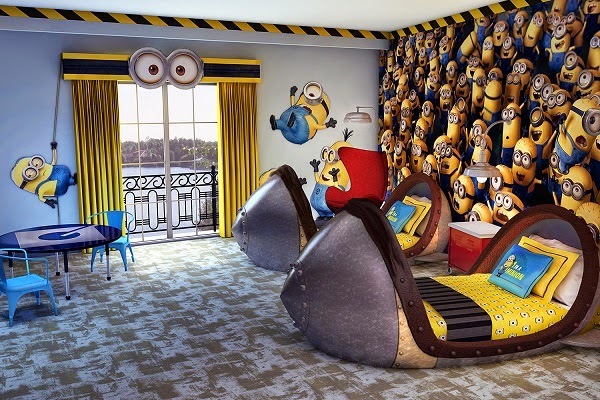 However, you don’t always need to decorate a child’s room every week because the Despicable Me minion’s room décor is very popular. This has to be the one theme that works perfectly in any child’s room because they are the characters everyone loves. 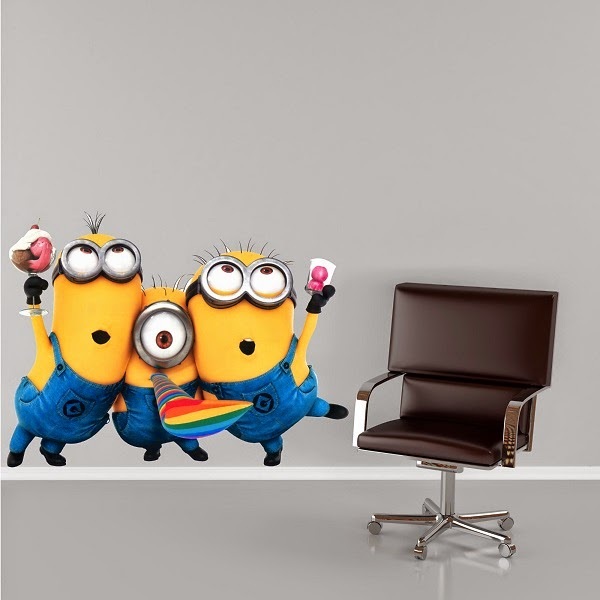 The unpredictable and very funny minions are the characters everyone loves and decorating a room with these characters will make your children love you more! 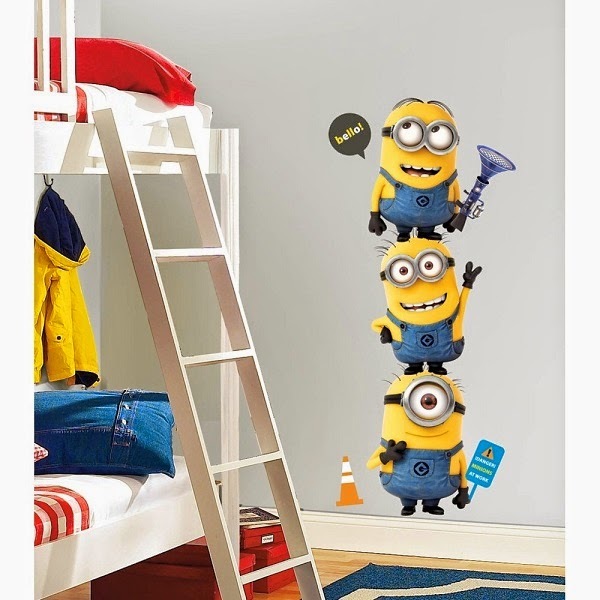 You could create a tower of minions on a wall with stickers or stencils. 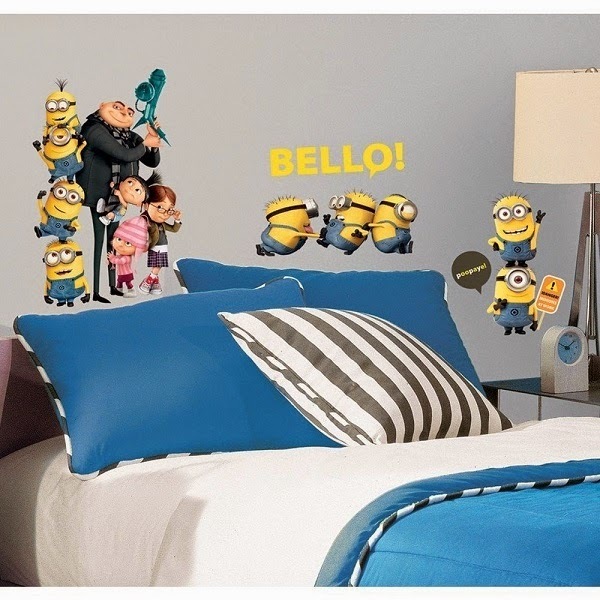 Though, decorating your child’s room with the Despicable Me minions can actually be a lot of fun and you can go a little crazy with the décor also! 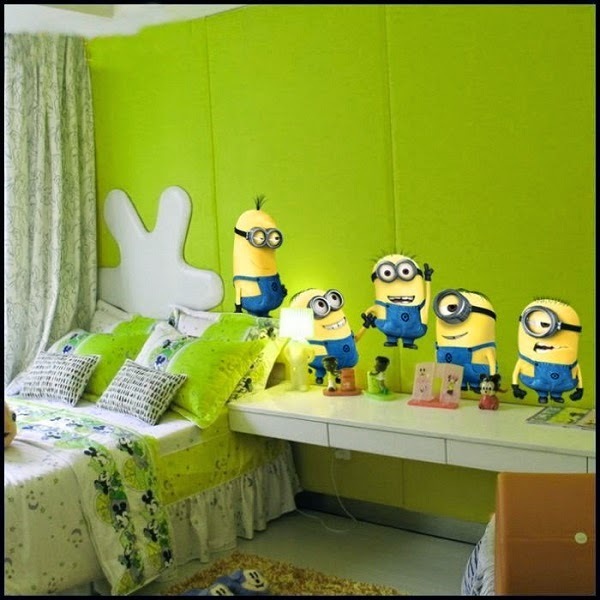 you can have a lot fun and remember, you don’t just need to stick with the wall papers that have the minions on them or the wall stickers and stencil designs either. There are a lot of ways for you to add to the décor of a bedroom or a play room very easily. You have things such as bedside lamps, light shades, bedding, bins, teddy bears and even little carpets that all have been customized with the minion designs that you can absolutely add to your child’s room. It’s really not all about the wall paper you choose but the little accessories that help to make up the room also. 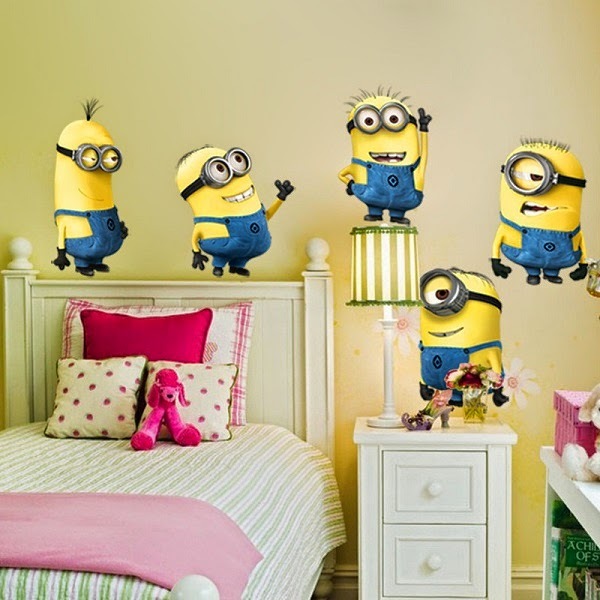 Have fun and enjoy decorating your rooms with the Despicable Me minions!